GT Channel is reporting that the 2015 Nissan GT-R will get a 7 speed gearbox. Since their sources are in Japan, and we already have our 2014 car here in the US, its a chance that they are talking about the 2016 US car. Will we see a repeat of what has happened with the GR6 transmission, or will this be an all new supplier? They also mention that Mizuno wanted to try and drop the current Nurburgring lap time by 3 seconds. GTROC reported on Facebook, that Mizuno was no longer the CPS/CVE for the Nissan GT-R as of the end of February. According to our sources, an extra speed will be added to the current car’s 6-speed dual-clutch gearbox. With seven speeds, the gear ratios will be noticeably altered from that of the current car, so it’s safe to expect quicker acceleration, especially out of corners. From a standstill, inside sources say the car will probably get to 60 mph in 2.7 seconds, knocking off 0.1 sec. from its 0-60 time. 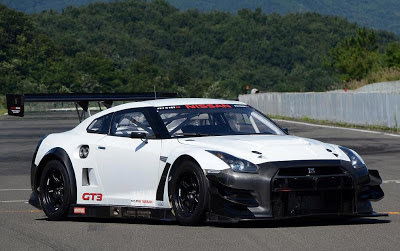 But that’s not all the mechanical changes in store for the next GT-R. Also anticipated are suspension tweaking, improved brakes and better tires, so the car will see improvement all around.